acclaim as well as negligible number of naysayers. And like all wise minds Pallbearer too don't care about their detractors. That's why they're back with all of their defining traits in their sophomore effort. Foundations of Burden has all the characteristics of Sorrow and Extinction and a few fresh stylistic approaches to expand their sound into a new ground. First of all the album is mixed by Billy Anderson whose reputation within the doomy domain of rock and metal is no secret. From Melvins' Houdini to Eyehategod's Dopesick he has produced some of the topmost classics in doom and its subcategories. And certainly his touch has made Foundations of Burden more dynamic and varied than its predecessor. 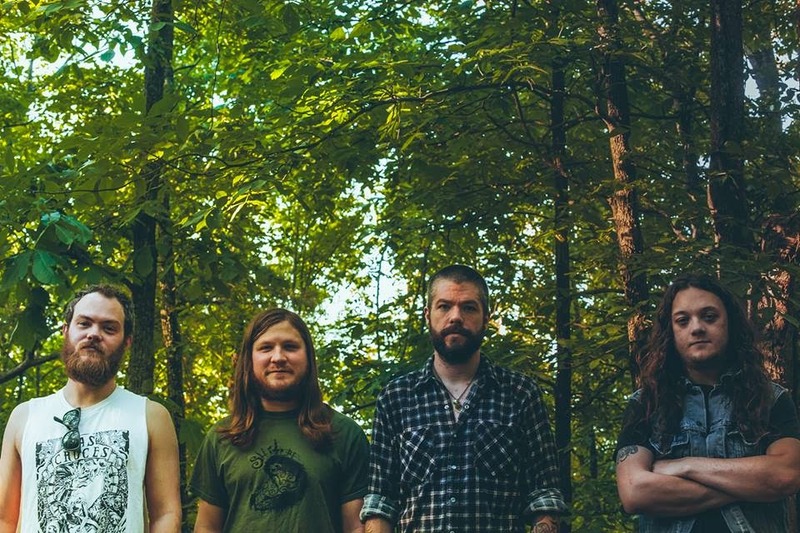 Let me make this clear that Pallbearer are not about groovy and meaty "let's get stoned" riffs. If you're expecting doom akin to Sleep's Holy Mountain or Cathedral's The Ethereal Mirror then this record is not for you (probably most of the naysayers are having this problem I guess). They have some echoes of Patrick Walker's former band Warning in terms of doom with emotional depth. But that's about it. Their approach to doom metal is all about creating a melancholic atmosphere and forlorn aura. 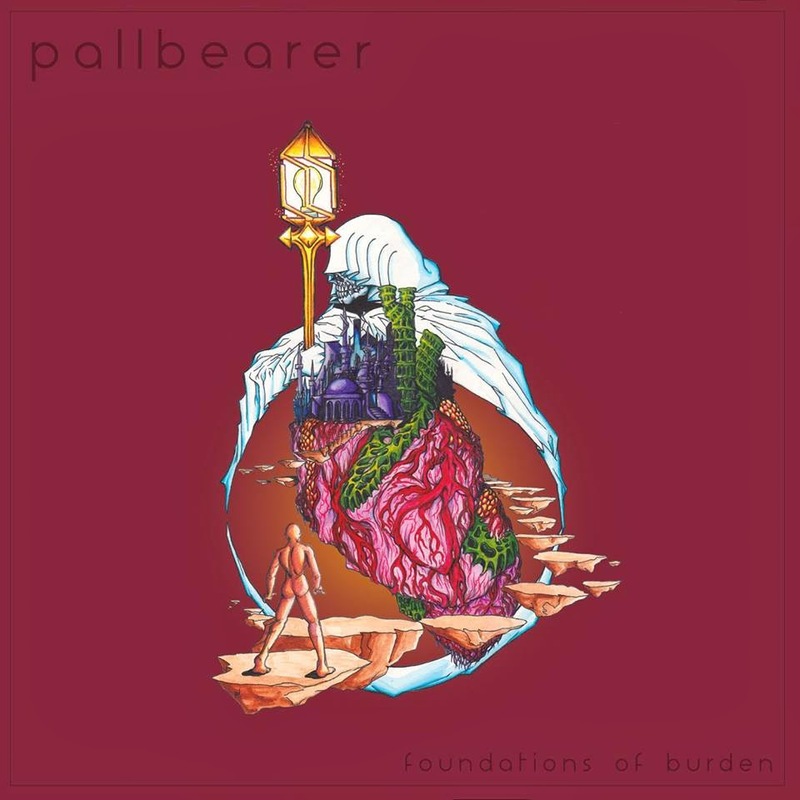 Of course a lot of doom bands have done it in the past but Pallbearer's sound rings perfection. For instance, the tranquil and serene nature of "Ashes" where Joseph Rowland's piano led atmosphere and Brett Campbell's spaced out pensive vocals take control. Of course there are Phrygian riffing in all of their heavy compositions but as I've said they are not about the grooves or catchiness but to complement the grief-laden melodies. Impart the weight of the years we shed"
psychedelia and an unconventional almost alternative approach to traditional doom metal. Coming back to the point of band's naysayers. While they're small in number their brain cells spend abnormally large time to cherry-pick vague flaws like "Hey! their album cover is un-metal or pink or purple or violet" (Born Too Late by Saint Vitus anyone? or Voivod's Nothingface or Sabbath's Master of Reality) or they're not quite heavy (Haha! There's enough crunch to their riffs. Ask Mike Scheidt of YOB) or "identity crisis" huh? Pallbearer's sound is rooted within traditional doom metal and they borrow influences from drone, funeral doom and psychedelia as well. Yea, it's not that complex but their execution is what makes them unique and stand out. Save the phrase "identity crisis" next time for bands like Orchid. And finally Brett Campbell's vocals. Seriously? Check your ear drums if possible. Because his wistful vocals bring perfection to "doom" metal. So, if you love doom metal, heavy metal in general or emotional heavy music you can relate to then cast aside these skeptics and get your copy of this masterpiece straightaway.